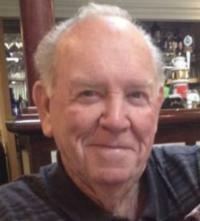 William J. Glozier, "Bill", age79, of Fenton, passed away surrounded by his family on November 11, 2018. Beloved husband of the late Jean. Dear father of Bill Jr. (Tammy) Glozier, loving grandpa of Kalei. Bill retired from General Motors. Visitation will be held on Friday, November 16, from 11:30- 2:30 at Temrowski Family Funeral Home, 500 Main St., Fenton. Burial will immediately follow at Tyrone Memory Gardens, Fenton. In Lieu of flowers, donations may be made to St. Jude's Children's Hospital or to Fenton Little League.